SSC has released Exam dates for Combined Graduate Level Exam 2018. Check Dates for SSC CGL Tier 1, 2 and 3 Exam. 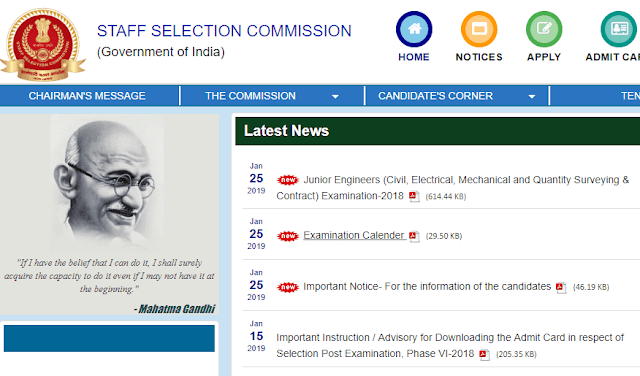 SSC CGL 2018 Exam Dates: Staff Selection Commission has released exam dates for Combined Graduate Level Examinations. As per the latest year calendar released, SSC CGL Tier 1 exam will be conducted from 4 June to 19 June 2019. As per the official notification, the commission has made an amendment in para 2.1. of the Notice of the Examination. Earlier, the age limit for 21 Group B Inspector Posts was between the age group of 18 to 27, which has been increased to 30. Other terms and conditions remain unchanged.